Whether you idolize Joe Satriani, Kirk Hammett or Jimi Hendrix, many guitarists eventually find themselves seeking out a solid wah pedal to add to their effects chain. From funk and psychedelia to hard rock and metal, it has a wide range of applications (though overuse will likely make you the target of pointed criticism). But if you thought that every wah was the same, you’d be disappointed. With some pedals, the effect is very pronounced and in-your-face. With others, it’s subtle and barely noticeable. And tonal characteristics can also vary significantly from one pedal to another. What’s the best wah pedal? That depends on what you’re looking for. But here we compare seven solid bets. Why Would I Want To Add A Wah Pedal To My Pedalboard? 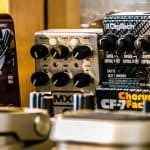 Where Do I Place A Wah Pedal In My Effects Chain? 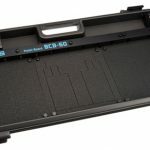 Should I Mod My Wah Pedal For High Gain? 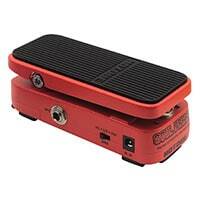 Are you looking for a wah pedal on a budget? Well, you’re in luck. The Behringer Hellbabe HB01 shouldn’t cost you more than $50, and the reviews, overall, are quite good. You might have a hard time believing this, but the Hellbabe comes with a full spectrum of controls that allow you to customize how it sounds, and how you want it to work. Some users will enjoy this flexibility, though some might find it a little tedious and annoying. Either way, you’re not going to do a whole lot better than the Behringer if you’re low on cash. The Xotic XW-1 is a beautiful looking white wah pedal, and a premium product. As such, it will run you $236. But for what you get, that’s not half bad. Reviewers and customers haven’t had anything bad to say about it, and that’s not surprising – it’s an easy-to-use, compact, flexible, and great sounding pedal. Adding a wah to your pedalboard isn’t going to get much easier than this. You might not have heard of Xotic before, but they do make exceptional products. Have you ever heard of Steve Vai? If you’ve been a part of the guitar community for any length of time, then you should be well-acquainted with his playing prowess. The Vai signature Morley VAI-2 is worth a look at a little under $100, as it’s essentially two pedals built into one (it has Bad Horsie and CONTOUR modes). Some wah pedals require you to stomp on the switch before they activate. The VAI-2 engages the moment you step on it, and goes to bypass when you step off (some of the other wahs on this list also work this way too). 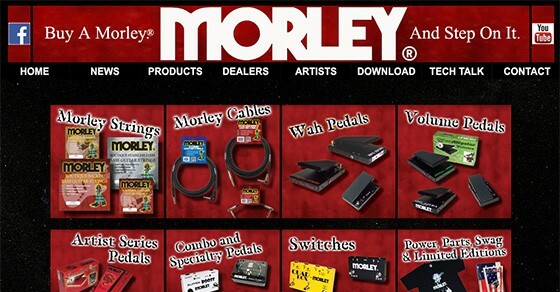 Morley mainly specializes in wah and volume pedals, and they also create artist series pedals for the likes of Mark Tremonti, George Lynch, and Cliff Burton. When it comes to wah, they know what they’re doing. Amazingly, you can find this modern remake of a classic 60s pedal for about $100. The Vox V847A is a simple but awesome sounding pedal, and some see it as the be-all end-all of wahs. Not everyone agrees on that point, however. If you’re looking for flexibility, you won’t find it here (unless you have it modified by an expert). 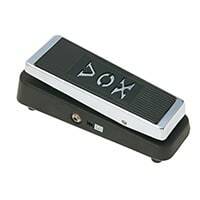 But then again, if you want that classic Vox tone, you’ll be hard-pressed to find it elsewhere. It does one thing exceptionally well. Vox is also known for their classic amps. 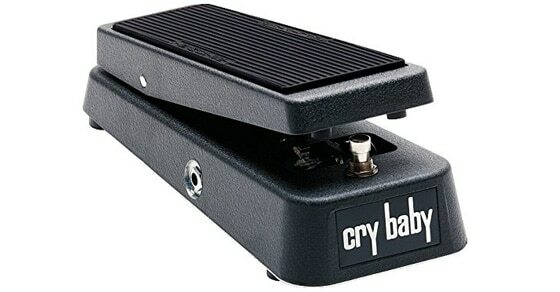 No best wah pedal list would be complete without the name that has become synonymous with the wah sound – Cry Baby. 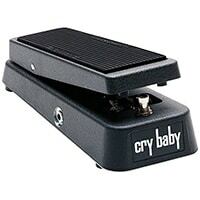 The GCB95 Cry Baby is the best Dunlop wah on the market, and starting at $79.99 (you can pay more to get it in different colors, as well as artist series versions), it’s hard to go wrong. 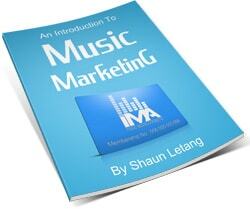 This is cheaper than a lot of the alternatives and still does a great job! But is it still the undisputed king in the wah market? In a word, no. Not much has changed with the Cry Baby in a long time. Its durability is somewhat suspect (it should still last a while), and it doesn’t offer much by way of customizability. Mod it if you’re serious about using the Dunlop as your main wah. Ibanez and wah? Well, they aren’t exactly known for their pedals or amps (aside from the Tube Screamer), but that doesn’t mean that they don’t make them. And in the case of the WD7 Weeping Demon, don’t knock it until you try it. It’s a bit of a curious looking pedal, but it will only run you about $110, and it includes a range switch (for low and high frequency response), and you can even adjust the footboard resistance to your own liking. But how does it sound? Well, to me the “human” quality of the sound reminds me of Talk Box effects. For solos with a vocal quality, here’s an excellent pedal by Ibanez. Plus, you can get a ton of “wah” out of this pedal, for exaggerated sounds. Now here’s something a little different. 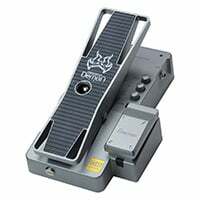 The Hotone Soul Press is a three-in-one pedal that handles wah, volume, and expression. 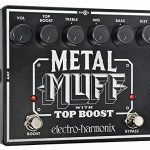 For those looking to get more out of a single pedal, $84.99 is not a bad price to pay. The effect emulates that of a Cry Baby pedal, but some customers have had issues with it, from defects with a scratchy pot to issues with switching between the different modes. On the upside, the Hotone is compact, and will make you sound like Hendrix. Durability. As with anything you add to your pedalboard, your wah pedal shouldn’t be flimsy or easily broken. This goes double for touring guitarists. Sound. From subtle, tight wah to extreme expressive wah madness, if your pedal doesn’t give you what you want, you’re going to need to swap it out. Plus, some pedals won’t give you much flexibility. The point is that you like the sound of it – that’s what matters. Try out different wahs to find your favorite. Functionality. Some guitarists are completely happy with the old-school Vox and Dunlop wah pedals. 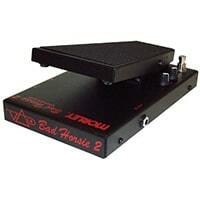 Others prefer the flexibility of the Hellbabe, or the Bad Horsie switchless wah for easy on and off. If you like to tweak, then get a pedal that lets you dial in a tone you like. If you prefer simplicity, then find a simple pedal with a great sound (like the Xotic). One of the undesirable side effects of adding more compact pedals to your signal chain is that it can affect your tone negatively. This explains why true bypass functionality and shorter effects cables are so important. But assuming you purchase and use a good wah, it’s not going to take away from your signal, and it will give you a way to add some flare and interest to your playing. I’m not sure that Jimi Hendrix’ “Voodoo Child (Slight Return)” would be as memorable if not for the way in which Jimi used the wah on that song. You could also say the same for Cream’s “White Room”, Chicago’s “25 or 6 to 4”, or Joe Satriani’s “Surfing With The Alien.” Sometimes a wah pedal is exactly what you need to bring out that riff or solo. But my favorite use of the wah is undoubtedly for guitar solos. You might think that guitarists use the exact same tone for their rhythm parts as their lead parts, and you would be wrong. From simple boost switches built in to the amp, to flange and phaser effects, most pro guitarists use an effect to make their solos cut, especially live. A wah pedal can serve that purpose, if you don’t overuse it. I’m glad you asked. This demonstrates at least a basic working knowledge of the importance of pedal order. Placing your effects in the wrong order can mess with your sound. If you have a tuner pedal, then that should come first. But immediately following that is typically where you would place a wah pedal. Alternatively, you may want to put it after your distortion. This is what a lot of modern rock guitarists are doing. It’s mostly a matter of preference. If you like to have as many options at your disposal as possible, then you could place a wah pedal towards the beginning of your signal chain, and one after your distortion. This, of course, could be a costlier proposition. A wah is an effect category all its own. This, however, doesn’t mean that there aren’t other effect types that serve a similar purpose. Some people tend to think that phaser or envelope filter effects are the same as wah. They have some similarities to be sure, but they aren’t the same effect. An envelope filter is also known as an auto-wah or Q-wah. 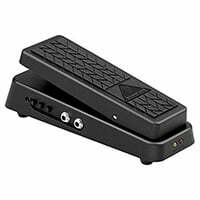 A regular wah pedal allows for more control, since you’re using an expression pedal to change the frequencies when and how you want to. An auto-wah effect will automatically add a wah effect to your tone based on your volume levels, or simply at regular intervals. You could also call it a “beginner wah”, since you don’t have to use an expression pedal to control it, and you can easily turn it on and off. A phaser is a type of modulation effect, putting it in the same category as chorus, flange, tremolo, and so on. It is like a wah in that it affects your frequency spectrum, but from a technology standpoint, a phase shifter is more like echo and delay effects (because they “swoop” at a constant rate, which you can typically adjust on the pedal). If you like the sound of a phaser in place of a wah, however, there are no rules against using it, so have fun. When it comes to wahs, mods are typically performed on Vox and Cry Baby pedals for additional functionality. But most if not all pedals can be modified to do more of what you want them to do. You’re handy with electronics. 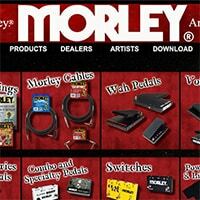 There are many handy guides online that will walk you through the exact process of modifying your pedal. Some common mods for wah include: true bypass, volume boost, wah-volume pedal, vocal, and midrange. If you enjoy DIY projects, then this might be a good way to learn more about your pedal. If something like power supplies sounds complex to you though for example, you may want to give this a miss. You know someone that mods pedals. If you can’t imagine fiddling with electronics, then find someone in your town or city that knows how. Look for someone legit. You don’t have to find someone that owns their own store or anything (sometimes the people that work from home are the best), but if they don’t know what they’re doing, they will wreck your pedal and charge you for it. Beware. You’re not entirely happy with your pedal. And by that, I mean you like it, but you’re not completely satisfied with it. Don’t take what’s broken and try to fix it, because polished junk is still junk. But if you’re looking to upgrade a pedal that you’re mostly happy with, it’s safe to say you’re going to like the results. So, to mod or not to mod? 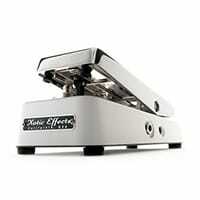 If you buy something like the Xotic wah, there’s virtually no reason to. Typically, what you’re doing is taking an otherwise good pedal and making it better. For example, you might like the sound of Boss pedals. Unfortunately, the more Boss pedals you add to your signal chain, the more your tone tends to degrade. So, you go and get your pedals modified. Boss mods are quite common, and usually make them better. Now your almost-perfect effects pedals are exactly what you hoped for. This should also tell you why mods are more common for Vox and Dunlop wahs over others. Have fun. For many guitarists, the wah is one of the most entertaining pedals to mess around with. Find a pedal that suits you and your playing style, and it will become a go-to for you too.